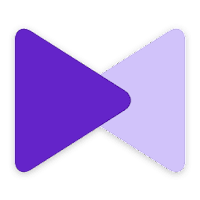 KMPlayer (commonly known as The KMPlayer, KMPlayer or KMP) is a versatile, all in one media player for Windows and Mac OS X, covering a various multimedia formats such as VCD, DVD, AVI, MKV, Ogg Theora, OGM, 3GP, MPEG-1/2/4, WMV, RealMedia, QuickTime. Without any separate Codec, It allows you to play any media files because KMP has its' own internal Codec. Supported Codecs are separated by internal & external. For the sound Codec, KMPlayer supports MPEG1, 2, AAC, WMA 7, 8, OGG & etc. and it additionally supports matrix function/normalizer function when internal sound Codec is being used. Internal Codec gets processed inside of KMPlayer so it’s faster & safer. Also KMPlayer supports all the Codec from ffdshow and it additionally supports MPEG1/2. If you’re a user who finds it inconvenient to install Codec, who has a low CPU computer and/or a user who strives for an excellent multi-media playback player, you’ll be able to modify your environment to a convenient multi-media format by using KMP. KMPlayer was originally developed by Kang Young-Huee and was first released on 1 October 2002. On August 2007, KMPlayer had been acquired by Pandora.tv (a Korean streaming video company). Today, KMPlayer is one of the world's popular media players and used by 300 million people from all around the world. Disclaimer: Direct downloads for the lastest version of KMPlayer 4.2.2.2 are provided by the official software's author, we can't guarantee safety, availability or download speed. Moreover, we don't and we won't provide any pirated/illegal versions or tools. We recommend you to avoid it as these methods can harm your device. If you like the software, buy it to support the developers. (We provide software discounts for many worldwide brands).